Timewasters is a British 30 minute scripted fantasy television series, which kicked off on October 9, 2017, on ITV2 and is broadcast every Monday at 22:00. The show is currently in its 2nd season. ITV2 has officially confirmed the renewal of Timewasters for Season 3. The exact release date is yet to be announced so far. Sign up to track it down. 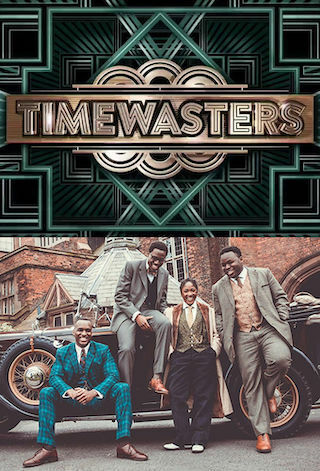 Stuck in the past after their time machine' is destroyed, our gang decide to explore, before quickly discovering that being young and black in the Jazz Age is a lot less genteel and a lot more shady than Downton Abbey had led them to believe. The second series of award-winning time-travelling comedy Timewasters will start shooting from next week with the series due to air on ITV2 in 2019. The band are back for another spin through time in series two.